Minimum order is 250 wristbands. 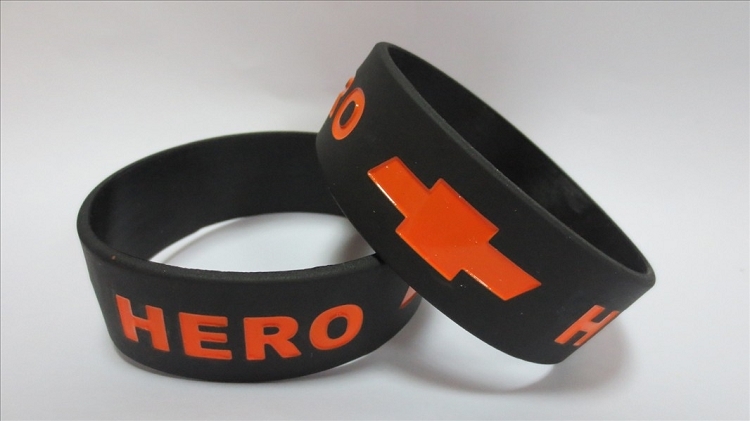 The wider 1" silicone wristbands are slowly gaining ground as an alternative to the regular 1/2" wristbands. Some people aren't fond of them as they do cover quite a bit of wrist area and are a little more difficult to put on over your hand. The same messages can be placed on them, only bigger and more noticable. They can be debossed, without color, debossed with color fill or printed. They are very noticeable to other people and the visual is rather stunning. This is especially true if you have a color fill in the engraved image. Sizes offered are Adult 8" and Youth 7" and each size must be ordered as separate orders. 250 is the minimum purchase and discounts are applied for larger quantities. If you have any questions, please call us at 253 841 4057 and we would be happy to help you with your order over the phone. Quantity Discounts do apply and will be processed upon checkout.